Jess & Matt may not have been audience favourites in the early stages of this year’s ‘X Factor’ competition, but a meeting with a music legend and a place in the bottom two were the catalysts for shaking things up. From there, they found their rhythm and made it all the way to the top three, inking a deal with Sony in the show’s wake. We popped on the phone to the dynamic duo for a pop chat about their debut single and album, their thoughts on Louise Adams and Cyrus Villanueva and what’s in the pipeline in 2016. Have you been coping in the post-‘X Factor’ haze? Matt : It’s been a bit of a whirlwind. It’s moved very quickly. The day after it all finished, we got a call saying we were getting signed to Sony, which was a dream since we were eight or something, so that was pretty ridiculous. Then we were straight down to Melbourne to do the album. So yes, it’s been moving very quickly, but we’re very excited. It’s been a great end to the year. How did your appearance on ‘The X Factor’ come to be this year? Jess : Pretty romantic story, isn’t it? Matt : Yeah, pretty much just saving petrol for the pubs. We thought, ‘let’s just gig together’ and save some money’. Then we thought, ‘hey, why don’t we go on ‘X Factor’’, because we didn’t want to be sitting on the couch again, wondering ‘what if’. So many musos do that. We certainly didn’t think we were going to be what the ‘X Factor’ was looking for, but here we are. How hilarious that your ‘journey’ together has literally pretty much started by carpooling. Jess : (laughs) It’s a true love story! Matt : The couple that carpools together stays together. That’s our motto. Was there anything about your time on the show you’d have changed in hindsight? Jess : We wouldn’t change a thing. We were in the bottom two twice, but I think it really gave us a kick up the bum and made us work harder. And it allowed us to bounce back and really find what we were best at. Jess : Yeah, we bounced all the way into the bottom two with ‘Ignition’. Matt : That was our bottom two song, that was great. (both laugh). I don’t think we’d change anything. I think we developed a lot on the show. We went in thinking that we’d have a bit of experience having played pubs, but nothing ever would have prepared us for that. And over the three months, we grew so much, so we wouldn’t change a thing. It seemed from an outsiders perspective, that as the season progressed, you seemed to come into your own and really found your niche. I thought it was going to be you and Cyrus at the end, but then along came Louise Adams… the dark horse. Matt : Yeah, I think we found our feet. It was definitely a turning point sort of around the halfway mark. We went to a Fleetwood Mac concert, which was inspiration for us to remember to get back to the music and to remember what we were doing it for. Jess : We met Stevie Nicks! Matt : Yeah, we met Stevie Nicks and she dedicated a song to us when we were in the audience for their Sydney show, which was mind-blowing. She’s our idol and she just reminded us that it’s got to be about the music and that we had to forget about the show a little bit. She said she was a fan too. So that just sort of reminded us that we had to keep being unique and not just do covers for the sake of covers – make it about the music. So we started doing our own arrangements and switching things up and I think that was around the time when people started connecting with us. It took a little while, but then we had to show people what kind of artists we’d be after the show. Jess : Guy really saw our vision and really got us from day one too, so I think we were perfectly matched in that sense. He always chose amazing songs for us that we could make into something new. Matt : …(and songs) that challenged us as well. We had to think outside the box and I think that’s what got us to the end. So it was a crazy ride. Matt, you were singled out earlier in the competition for having slightly weaker vocals than Jess… that must’ve hurt a little? Matt : Look, it was an interesting thing to be exposed to on live TV. To get critiqued in any way, but we knew going into it that that’s what comes with it. You go in there to be judged. And you’ve got two minutes to prove yourself. You’re going to get told exactly what the audience or what the judges think straight after you perform it. So we were ready for that. And that comments that were made… we definitely grew from them. I took them and was definitely working on my vocals. Jess : Matt definitely grew a lot over the competition vocally. Matt : I think I was getting rid of a few bad vocal habits from having to sing over noisy PAs in a crowded pub. So that really helped. I pulled my vocal back and I think that really helped and those comments really helped develop me and us as a duo. How hands-on is Guy Sebastian going to be in your future careers? Will he have a big part to play? Jess : Yeah. We’ve spent lots of time with Guy after the show. Matt actually went on a little bromance date at the ‘Star Wars’ premiere. I didn’t get a ticket, so it was just them riding their little duo. Matt : It was a bit of a boys date. But yeah, Guy’s been incredible. He was checking up on how the album was going and he was so hands-on with our arrangements. We had a great musical relationship on that level that we could be creative, think outside the box and do things that were a bit different. So he’s been really hands on and we’re proud to call him a friend after the show and he’s been great. We never knew with the judges how hands-on they are, but everyone was just so lovely and post-show, I think we’re going to be friends for a really long time. How much emphasis do you place on the chart performances of your single and album? The album’s been doing quite well since… it dropped a little early! Matt : Yeah! My mum and dad – and Jess’ mum and dad – didn’t have any social media or knowledge of the iTunes chart or anything. But they’re more all over it than we are. Jess : We’re getting screenshots! There’s a first time for everything! Matt : We wake up to ‘look, your album’s in the charts, it’s at No.3, it’s at No.4’. Mum and dad have both got Instagram and they’re sharing things… there’s nothing like ‘The X Factor’ to turn your parents into tech gurus. So it’s been hilarious. We just want to make sure that we’re giving back to the fans and get this album out as soon as we could. But it’s just been great that it’s been received well. It debuted at No.3 on the iTunes charts, which is just ridiculous, especially just before Christmas. It was beaten by Michael Bublé’s ‘Christmas’ album! Jess : And Adele. I don’t think Adele’s ever going to get knocked off. We’ve been saying to people… Rihanna’s album is reportedly ready to go, but her label’s probably not ballsy enough to drop it while Adele’s performing so strongly, lest she not debut at No.1 around the world. Matt : I don’t think anyone’s ever going to rival Adele. She’s someone… her last album was ridiculous and this album’s ridiculous again. But she’s still upset. She’s still not over it. (Jess laughs). Which is nice. It means there’s more lovely heartbreak songs. Are you surprised that your releases are doing better than Louise’s, given she was the runner-up? Matt : I didn’t even know that! I haven’t been monitoring it too closely, to be honest. We were such a close-knit family towards the end. We literally lived together for three months. And we’re all so different as well. I think it’s really easy to be nurturing of each other. We’re really close with Cyrus and with Louise, so it’s just good to see everyone doing really well and getting our music out there. I think we’re just really supportive. We’re all throwing up posts about each others’ albums… it’s really cute. Alright, let’s have some fun… Describe Louise in three words. Both : Well, that’s two words (both laugh). Matt : Um… okay… three words. Jess : Three words…. THE country mum. Matt : She’s the quintessential country mum. She’s just hilarious. And she can talk the legs off a chair as well. That’s one little thing you might not know about Louise. She could talk under water. She’s great for a chat. If you’re nervous about a performance, she was always there for a good chat with little Frankie. Yeah. We love the fact you’ve gone for two words, Jess, and Matt’s gone for about 30! Jess : Yeah, exactly. I’m just terrible at summarising sentences. Matt : Apparently I can talk the legs off a chair as well! Alright, do the same for Cyrus. Describe him in three words. Jess : Oooh three… I’m going to add “the” to everything. Matt : Don’t add “the”!? “The” doesn’t count as a word. I’m going to go for suave. Jess : He winks at everyone when he doesn’t know he’s doing it. And humble. 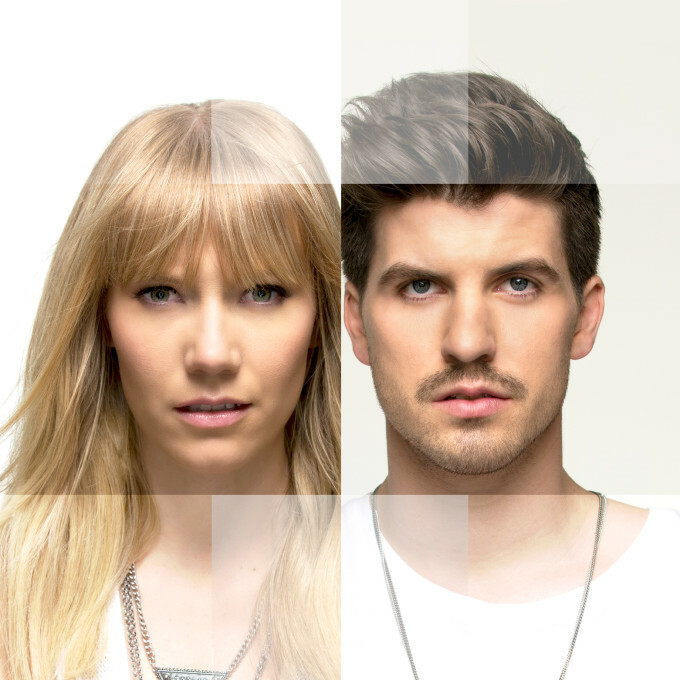 What form will an album of Jess & Matt originals take? Matt : We’re really excited to get writing. We’ve done a lot of songwriting apart as solo artists and writing for us together is new, pretty unchartered territory and we’ve already started getting the ball rolling on some new ideas, so 2016 is going to be great. Jess : There’ll be lots of writing in January. So kind of like an indie-folk, indie-folk with electronic twist. Matt : It’s great that we got to get the covers album out with the single, to give back something to the fans who got us here. We wouldn’t be here without them. Jess : But we can’t wait for the originals album. Matt : Yeah. It’d be really nice to get writing and get an originals album out next year. And hit the road, hopefully, and get gigging as well. So stay tuned for that. It surprises us to hear you haven’t written together, given your carpool history and all…? Matt : We did a little bit here and there. We actually had an electronic project going about a year ago. We were doing some stuff. But we have such different songwriting styles that it’s really interesting now. We just started writing while we were on the show as well. We’ve had a lot of inspiration from the show and travelling to London and Abu Dhabi… all the things that happened in the show have given us so much material to write about. Jess : It was hard to write while we were on the show, because there wasn’t much time. Matt : But we can’t wait to get that going. That’s going to be a bucket list moment for us to release an original album. So the electronic project… presumably you’ve taken down the Facebook page now? It’s gone? It’s history? Jess : We never ever got to a Facebook page. It was all just bedroom studio stuff. Matt : It’s sitting somewhere deep within my hard drive at home. Maybe never to be seen again. But hey, there’s definitely some influence there that we might carry through. We’ll see how we go. So can we expect some live shows soon? Matt : I think we want to hit the regional towns as well. We had a huge regional following, which was amazing. Half my family is from Wagga. Wagga Wagga. So hopefully we’ll get out there and do some nice little intimate acoustic shows. Jess : Wagga Wagga… the town so nice they named it twice. We were literally about to say the same thing. Stole the thunder. 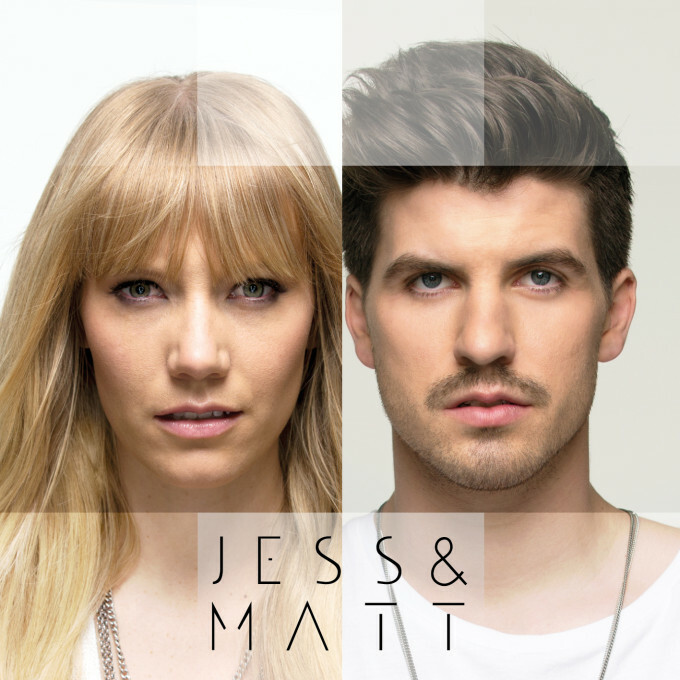 Jess & Matt’s self-titled debut album and their single ‘Nothing Matters’ are available now.